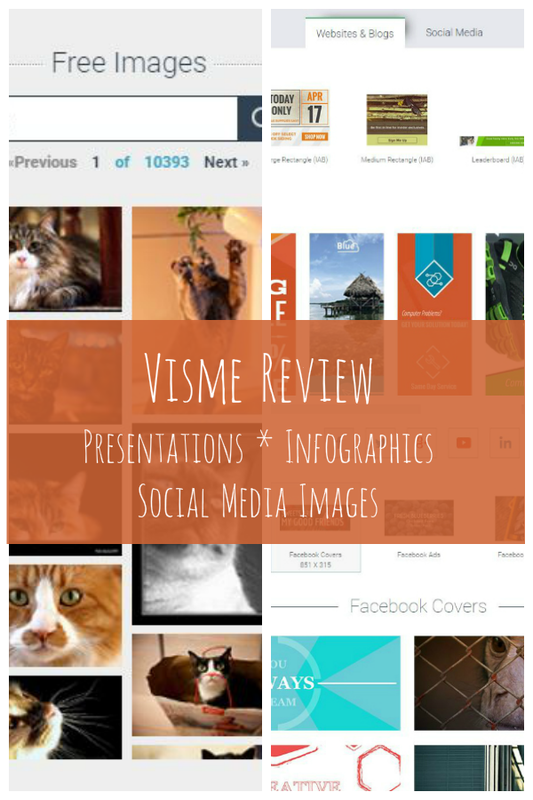 Visme Review: Infographics, Presentations, Banners, Oh, My! When Visme contacted me about reviewing their product, I kept putting it off. I knew it would take a lot of time for me to evaluate a tool like this, for creation of infographics, presentations, and banners. Not only is there a lot of material to go over, but art and graphics have never been my strong suit. I’ve always loved writing but never could draw to save my life. I also had a really mean art teacher in junior high school who ruined whatever possible artistic talent I might have had. Well, art class was eons ago, long before graphics editing on computers and phones became commonplace. I can usually figure out how to use graphics software. I use Paint.NET for editing most of the photos on my blog, and it does most everything I need it to do. I’ve been wanting to create an infographic, but found the process too daunting based on tools I’d seen. That’s really saying something, when a computer geek is too intimidated by infographics tools to even try any of them. Fortunately, I was able to get started quickly with Visme’s various infographic templates and create my very first infographic. With Visme, you don’t need artistic expertise. Why create infographics? They’re a highly effective marketing tool for spreading brand awareness. For bloggers, they can help your content go viral because they’re so easy to share on social media. Experts have actually researched the science behind the most popular infographics. Social Media Examiner provides a guide to creating infographics, from finding a good topic to gaining as many shares as possible. For presentations, Visme competes with the old stand-by, PowerPoint. 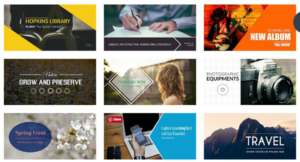 One key benefit to Visme for presentations is that it’s an online tool. You save your presentation online and can easily share it with team members. You can either get a view-only link, or grant edit permissions to other team members and send them a link for access. There’s no need to upload the presentation to a file sharing service like Dropbox or OneDrive before sharing. Visme also features a robust set of analytics for your presentation that you just can’t find in PowerPoint. You can find out how many times your presentation was viewed, how many different people viewed it, where they were located, when they viewed it and how long they viewed it. For presentations, Visme offers millions of searchable images plus more than 6000 vector icons. Visme provides an outline of some of the differences between their presentations and PowerPoint. You can choose from among a large variety of presentation templates to use, or start with a blank slate and select your own background, colors, and fonts. The only thing I didn’t like about the presentations part of Visme is the inability to choose photos to upload in a batch. You have to upload them one at a time, which is a bit frustrating and lengthens the amount of time it takes to create a presentation. Other than that, creating a presentation could hardly be any easier. You can see one of my Visme presentations on my post about my family’s visit to the Carnegie Museum of Natural History in Pittsburgh. Your presentation can include videos, animations, interactive charts, sound, tables, and just about anything else you could think of. You can also insert widgets such as clocks showing the current time in various time zones. Visme’s banners make it super easy to create social media images, including headers for your social media profile pages. I used Visme to make a beautiful banner for my Twitter and Facebook pages. Visme has all the perfect sizes for various social media needs, too. You can quickly make optimally sized graphics for Twitter, Facebook, YouTube, LinkedIn, and Google+. The only thing missing is Pinterest, which I hope Visme will consider adding. Pinterest is one of the most important social networks, and making pins is one of my most time-consuming blogging tasks. You can, however, use infographics (described above) sometimes in Pinterest, depending on the subject material. I can evaluate Visme from multiple standpoints. As a techie, I’m impressed by Visme’s numerous features, huge collections of images and templates, and user friendly interface. From a business perspective, Visme makes quick work of designing professional infographics and presentations. 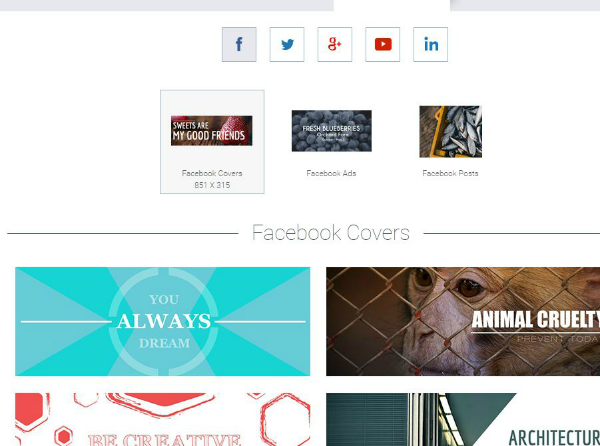 Bloggers will love Visme’s selection of social media banners and images. You can make over your social media header graphics like I did, plus you can build gorgeous images for your social media posts in a flash. You don’t need to memorize all the expert design tips for designing social media images. Visme has already done the legwork. Visme is also a great tool for refreshing old blog posts. Use content from an old post to create an infographic or presentation. Or, create new social media graphics, update the content, and re-share the post across your social media channels. 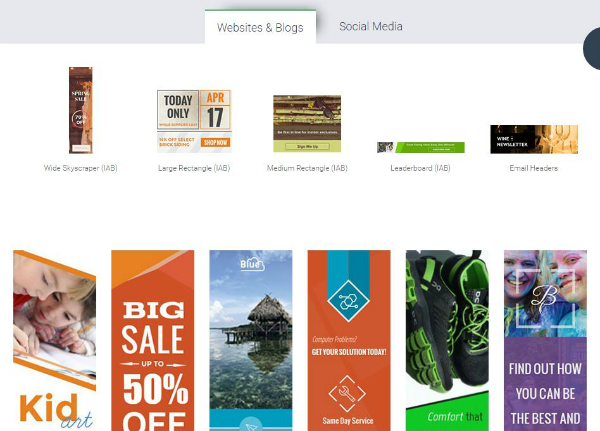 Visme offers a large number of features and templates in their free version. However, once you give it a try and find out how well it works, you’ll probably want to try their premium (paid) version, which starts at $7 a month, for the most versatility and options. Visme’s price covers its selection of graphics and templates, which is one way in which Visme differs from Canva. Visme provides a comprehensive online help database with extensive feature descriptions. This helps you to take full advantage of Visme. I received a limited time premium Visme membership for use in this honest evaluation. All opinions are my own.